Just today, I read a review that stated most prescription antacids are only recommended to be used for two weeks. There are other prescription drugs that are not really safe to be used for long periods of time, too. As much as possible, my family uses herbal and home remedies for health ailments. That said, we are the first at the doctor's office or emergency room if something comes up that we can't handle. Broken limbs, bleeding that won't stop, cuts that won't come together, dehydration, and other serious health problems are the purview of doctors, nurses, and hospitals. One of the best allergy relief formulas I have tried is simple to make. Stir 1/2 tsp. cinnamon into 1/2 tsp. raw honey. Take twice a day, morning and evening. I was surprised at how quickly this worked. I tried stirring up 1/2 a cup of each and refrigerating it. The taste did not change, but it was much harder to swallow the cold and hardened mixture. Raw honey has been recommended for many years for allergy sufferers. 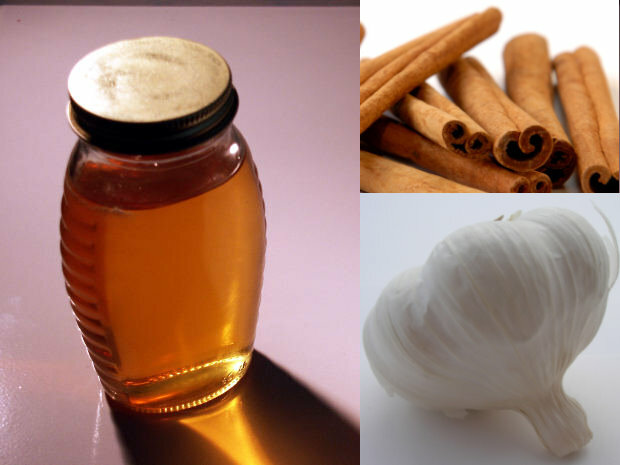 The cinnamon added to this recipe helps prevent the honey from affecting blood glucose levels. If you don’t want to take a spoonful of the mixture by itself, spread it on toast for a delicious breakfast or evening snack. Have you ever had hiccups that you couldn’t get rid of? My dad has the perfect, always works (at least for me and my family) hiccup cure. Take a teaspoon of cider or white vinegar. This should take care of the problem. If not, take one more teaspoon. I have never seen a case of hiccups that did not stop after the second dose of vinegar. My kids and grandkids prefer the juice off of dill pickles, which works just as well. There are studies that indicate vinegar helps with heartburn, too, due to the change of the pH balance in your stomach that vinegar causes. If you are not at home and do not want to purchase pickles, which should be refrigerated after opening, you might try sea salt and vinegar potato chips. My husband loves these, and they seem to help prevent heartburn for him. At the same time, it should be noted that these are high in salt content, and should be avoided by people with high blood pressure. For a dry, hacking cough, try chopping up an entire bulb of fresh garlic. Place it in a small bowl and pour enough local honey over the garlic to completely cover it. Place an airtight lid or plastic wrap over the bowl, and allow it to marinate for at least 8 hours or overnight. I take 1 tablespoon three or four times a day as long as I have the cough–usually less than 24 hours. In addition to the cough syrup, you might consider massaging your feet with garlic oil. When small children have colds, they seem to be even more miserable than adults are when they have them. There really isn't much, unless there is a new prescription drug I don't know about, that a doctor can do for colds except recommend fluids, fever reduction, and rest. When my grandchildren were small and colds came on, we took garlic oil capsules, opened them, and rubbed the garlic oil on their feet. Then we covered their feet with warm socks, gave them some Tylenol or Advil, and put them to bed. Garlic seems to help them get well sooner. I don't usually put garlic oil on my feet, but I do take garlic capsules anytime I have sniffles. I am not a health care professional. If you are ill, see your health care provider for diagnosis and treatment. The above home remedies are the remedies my family uses.